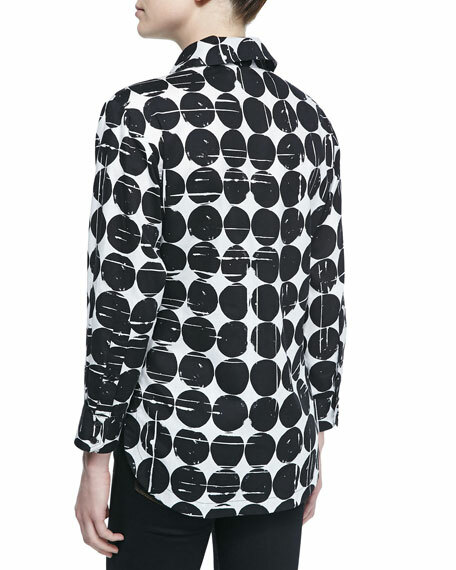 Finley shirt in polka-dot print poplin. Approx. measurements: 27"L shoulder to hem, 31"L center back to hem. 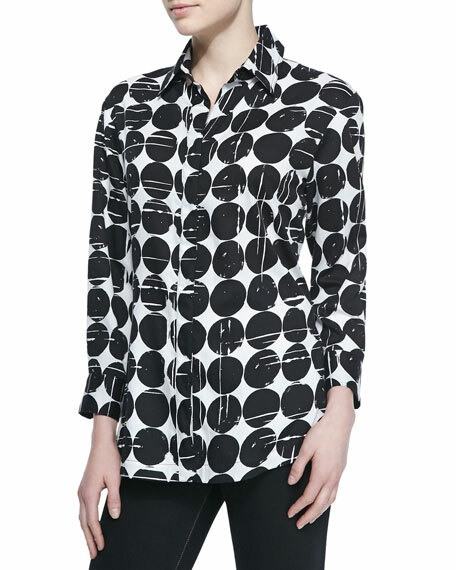 Spread collar; concealed button placket. Shirttail hem with 4" slit.